Mailbox is celebrating the arrival of two new independent menswear stores – Burrows & Hare and English Brands – with a special shopping event on Saturday 1st December from 10am – 4pm. Shop in style and enjoy complimentary drinks and live music in the Urban Room, alongside a series of exclusive offers, discounts and treatments from the likes of Harvey Nichols, Gieves & Hawkes and Flint + Flint, for one day only. Premium independent menswear retailer, Burrows & Hare, is offering 10% off across the store, and a complimentary barbershop service for wet shaves and beard trims. Shop a range of carefully selected brands including Sunspel and Grenson, Oliver Spencer, Universal Works and ABCL. English Brands is offering 20% off across its range of the finest handmade men’s leather shoes, boots, bags and small accessories. 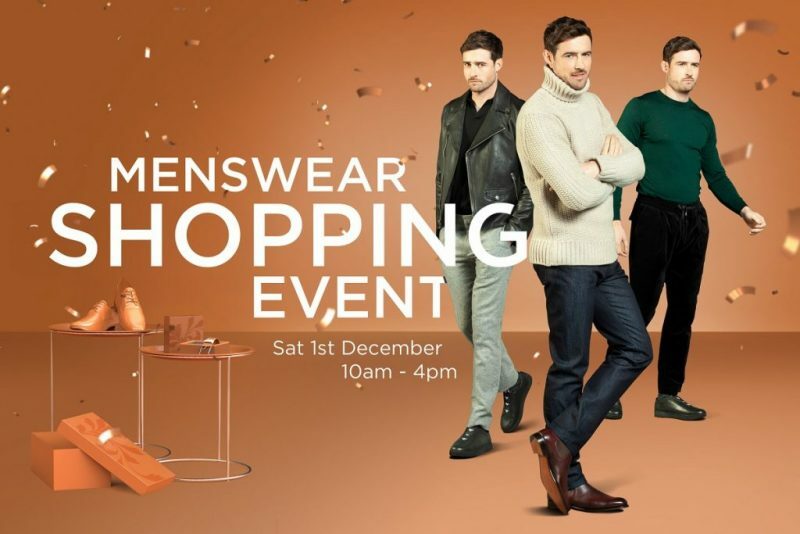 Browse premium brands Barker and Joseph Cheaney & Sons and Gaziano & Girling, alongside Barbour, Loake and Sanders, and pop in for free shoe shining on the day. Enjoy complimentary treatments at Harvey Nichols, including mini men’s facials from Heaven by Deborah Mitchell, neck and back massages at ESPA and hand and arm massages at Elemis. Purchase any two Elemis gift sets and receive a complimentary Elemis facial. Guests can also enjoy a complimentary beer on menswear at Harvey Nichols, in addition to Wine Shop tastings with Tipplesworth, Aluna and Compass Box. Redeem a gift with every purchase over £125 at Gieves & Hawkes, and anyone purchasing a suit in store can enter an exclusive competition to win a luxury 5 night stay in Mauritius for 2 people, in a 5 star hotel, with flights included. Treat yourself or a loved one with 10% off gift voucher packages at Flint + Flint, or buy three selected treatments for £100. Whether you’re in search of the perfect outfit for the festive season or looking to stock up on gifts, make the most of the exclusive offers and discounts across Mailbox’s premium menswear stores!